Click on the thumbnail for a full-size picture. All of these pictures were taken with a Sony MVC-75 Digital Camera, which I borrowed from the school. 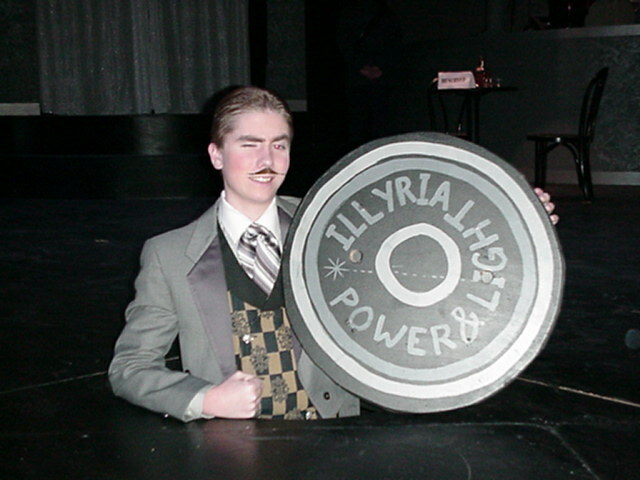 For more photos of the actual show, check out Twelfth Night photos from Jon Ares' website. A shot of Duke's club, complete with sign and view out the "window" of the bustling metropolis of Illyria. 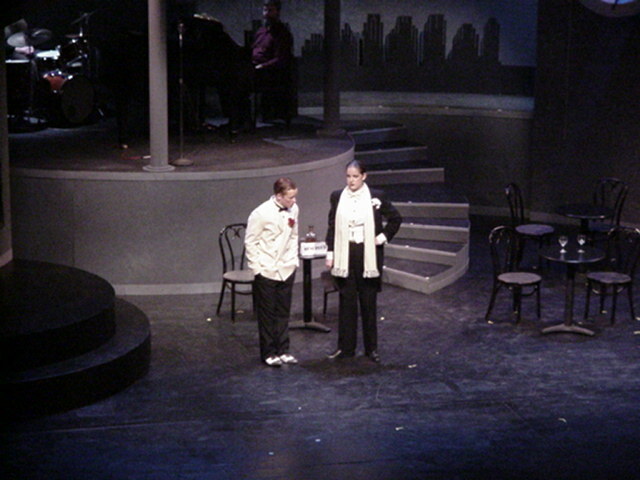 Confusion errupts after Viola's brother is shot in the alley. 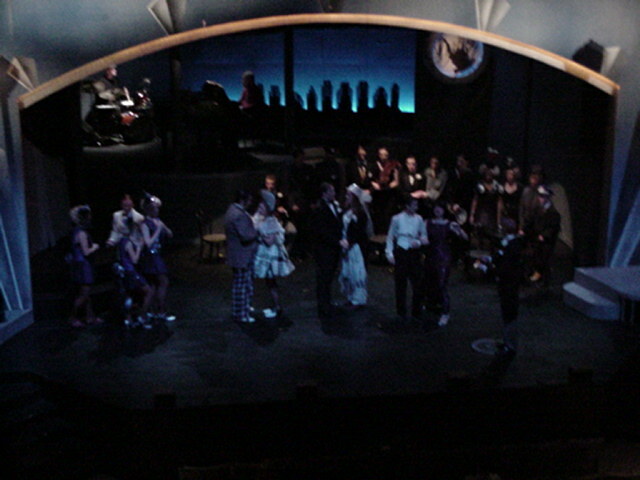 After hours, Feste and Viola chat in Duke's club. 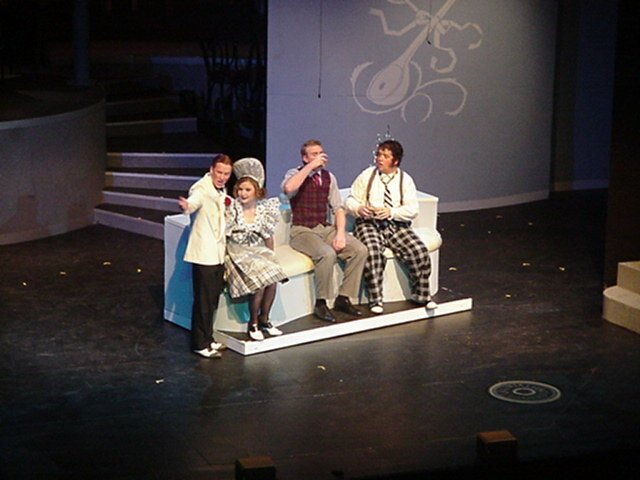 Feste, Marie, Andrew and Toby are merry in Olivia's house. 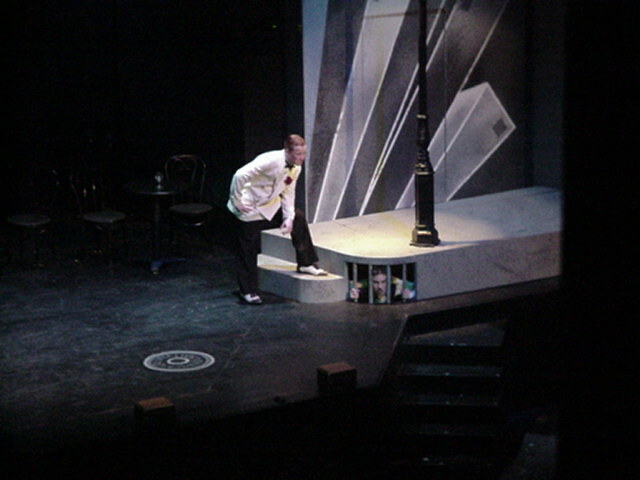 Feste "chats" with Malvolio, "thinking" things over in the sewers. 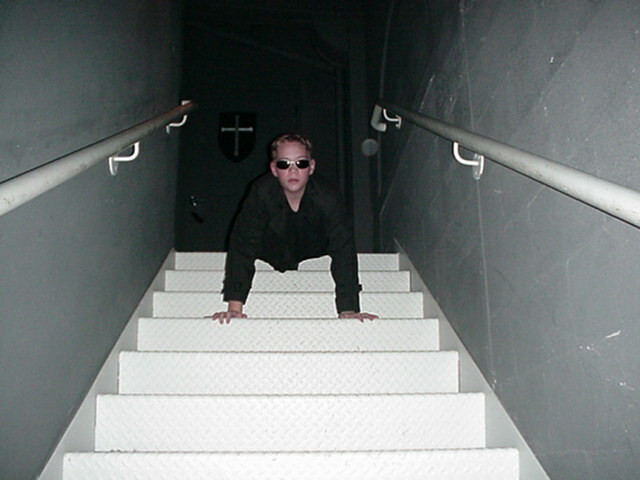 Exclusive shot of Malvolio and the entrance to his beloved sewers. 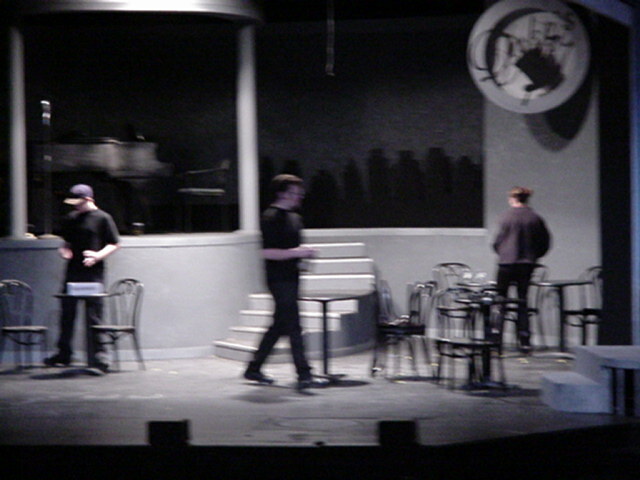 Only I bring you an exclusive behind-the-scenes look at our production of Twelfth Night! 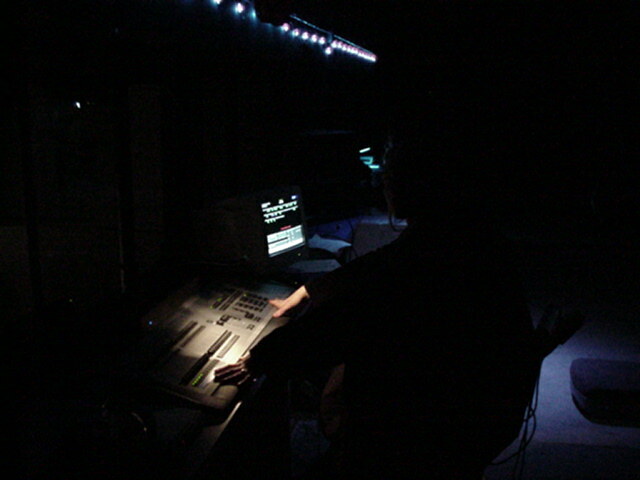 Matt Eppelsheimer (Master Electrician/Light Board Operator) on a break between cues. 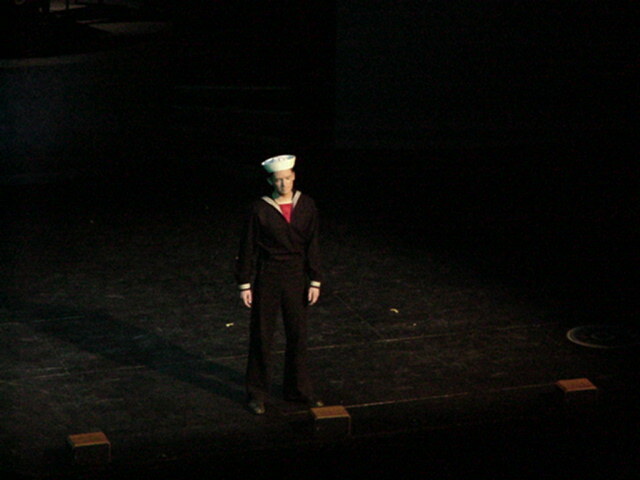 Intermission often means a number of crew members head up to the lighting booth for social hour. 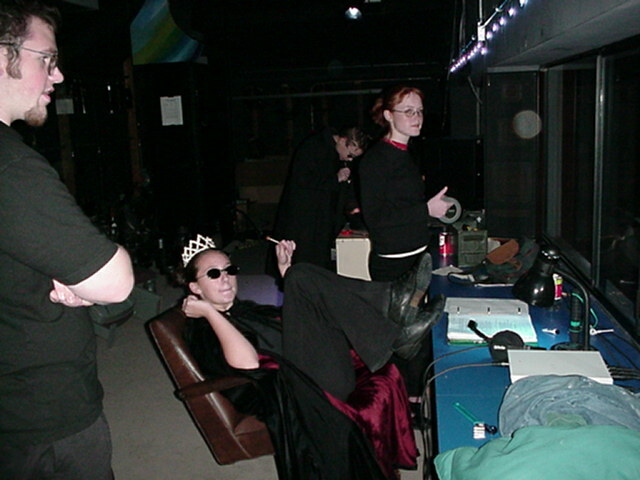 Picture (left to right): Eric Grant (Grip), Holly Heredia (Stage Manager), Lizzy LeRud (holding the almighty gaff, Stage Manager). 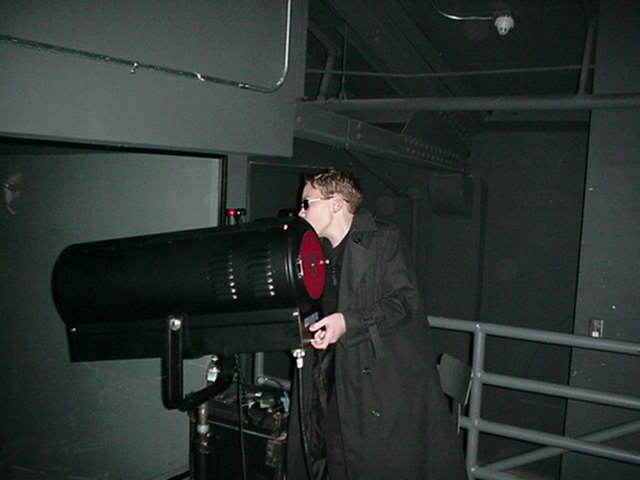 Dan Eppelsheimer (followspot) seen in background. 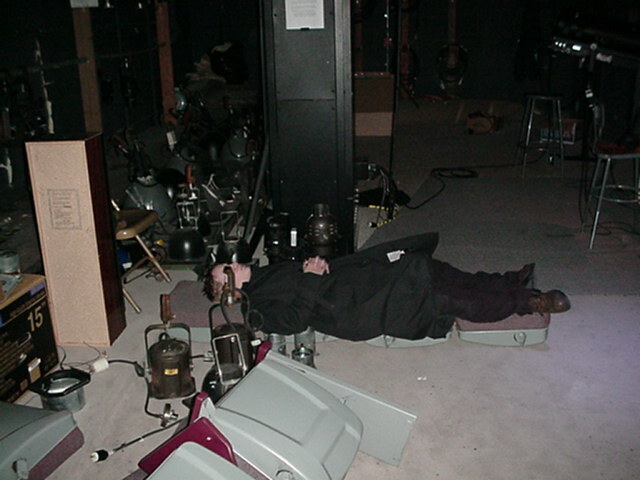 Even the most dedicated of followspot operators need to take a break now and then. Dan Eppelsheimer (followspot), doing what follospots do best. 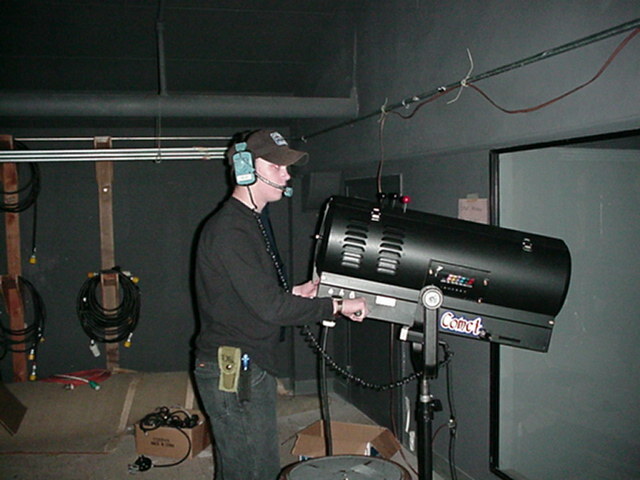 Dan Eppelsheimer (followspot) doing his best Neo impression. Convenient, that this picture is the one to be corrupted. Dan was unavailable for comment on the subject. 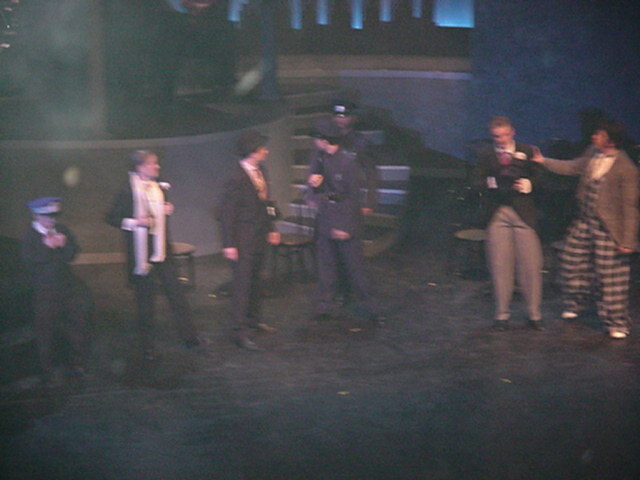 Grips (Ryan Falls, Eric Grant, Sarah Spear) wrangling props after the show. 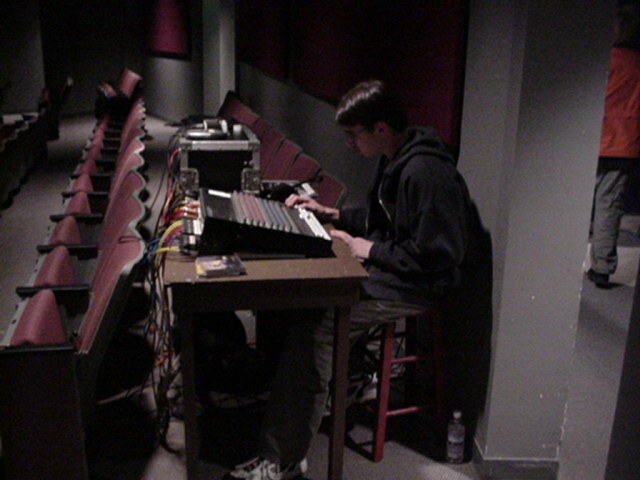 Dustin Silva (Sound Operator) getting ready to "call it a day"after the house empties.